POULIN DE FRANCHEVILLE, FRANÇOIS (he always signed, with the exception of his marriage contract, Francheville), merchant and bourgeois of Montreal, fur-trader, seigneur, entrepreneur in the Saint-Maurice ironworks; b. 7 Oct. 1692; d. November 1733 in Montreal. Francheville was the son of Michel Poulin and Marie Jutra. His grandfather was Maurice Poulin* de La Fontaine, a fur-trader and judicial office for the Trois-Rivières area. The date when Francheville moved to Montreal is unknown, but it was here that his active career took place. His marriage contract was drawn up on 26 Nov. 1718, and the following day he married the 21-year-old Thérèse de Couagne*, daughter of Charles de Couagne and Marie Gaudé. Couagne had been one of the most important merchants of Montreal. Parish records indicate that Francheville had at least one child, Marie-Angélique, baptized on 3 Oct. 1719. The censuses of Montreal of 1731, two years before his death, and of 1741, after his death, do not list any children in his household. His early commercial career is typical of the merchants and bourgeois of New France. From 1722 until his death we find him engaged in several facets of the fur trade. He acted for, or in conjunction with, several officers and commandants of forts in the colony, such as Louis Liénard* de Beaujeu, Constant Le Marchand de Lignery, and the merchant François Volant. The advancing of credit to merchants was a typical activity of Francheville. He also hired men for the exploitation of the fur resources of the hinterlands. 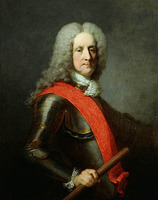 Just prior to his undertaking the development of the Saint-Maurice ironworks, his real assets were estimated by the intendant to be 30,000 livres. His most ambitious undertaking was the development of the mineral resources of his seigneury at Saint-Maurice. This enterprise was greatly facilitated by the support of Intendant Gilles Hocquart*, who was sympathetic to commercial endeavours. In 1729, the year Hocquart arrived in the colony, Francheville wrote Maurepas, the minister of Marine, requesting a 20-year monopoly to mine the iron deposits at Saint-Maurice. His request was referred to Charles de Beauharnois* de La Boische and Hocquart by the minister. Both wholeheartedly supported the undertaking. A brevet was granted Francheville on 25 March 1730. He was given, as requested, a 20-year monopoly, which was to date from the initial smelting of the ore. He was also granted the right to exploit cultivated and uncultivated lands adjacent to his own. If the lands were cultivated, he was to reimburse their owners, and if they were not, he could simply expropriate them. By 1732 the project was realized to be much greater than originally thought. Hocquart supported Francheville’s request for a loan of 10,000 livres. This was granted in 1733, and was to be repaid within three years. To facilitate the development of the industry, and probably because he had been able to get a loan of 10,000 livres, he formed a company and thereby drew upon the benefits that could follow from the favouritism of the upper administrators of the colony. He associated himself with his brother Pierre Poulin*, Ignace Gamelin* Jr., a Montreal merchant, Bricault de Valmur, the intendant’s secretary, and François-Étienne Cugnet*, the director of the Domaine d’Occident and a member of the Conseil Supérieur. On 22 March 1733 he hired Christophe Janson, dit Lapalme, for three years. The latter was to make a trip to New England with the Sieur La Brèche, to examine the ironworks of that area. Janson’s annual salary was 700 livres and he was to supply his own tools. In the previous year ore samples and castings had been sent to France; the quality of the iron was considered equal to that of Spain. 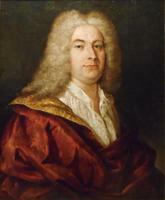 Further development was momentarily halted, by Francheville’s early death, at the age of 41 in November 1733 (not in 1734, as Hocquart once wrote). His widow attempted to carry on the enterprise, as is indicated by her assuming her late husband’s obligations on 19 Dec. 1733. By 1735, the ironworks fell under the control of François-Étienne Cugnet. Francheville left his widow a property 43 feet by 60 on Rue Saint-Paul, Montreal, with a two-story stone house. He also left an irregularly shaped farm of approximately 10 by 16 arpents in the parish of Saint-Michel, on which there were several buildings, and of which 15 acres were cultivated and 15 were grazing lands. His wife also inherited his interests in the Saint-Maurice ironworks, which included his own investments, the seigneury of Saint-Maurice, and a small annual income derived from his having contributed these lands as a capital asset. Francheville was a typical entrepreneur in New France; his early death was a loss to the colony. AJM, Greffe de Jacques David; Greffe de Charles-René Gaudron de Chèvremont; Greffe de Nicolas-Augustin Guillet de Chaumont; Greffe de J.-C. Raimbault. AN, Col., B, 53, 54, 55, 57, 59; C11A 51, 57, 58, 110. Collection Lafontaine (Sir George Williams University), Registre de la cure de Montréal. Documents relating to Canadian currency during the French period (Shortt). Fauteux, Essai sur l’industrie sous le régime français. Sulte, Mélanges historiques (Malchelosse), VI. Albert Tessier, Les forges Saint-Maurice 1729–1883 (Trois-Rivières, 1952). Cameron Nish, “François-Étienne Cugnet et les Forges de Saint-Maurice: Un type d’entrepreneur et d’entreprise en Nouvelle-France,” L’Actualité économique, XLII (1966–67), 884–97. Cameron Nish, “POULIN DE FRANCHEVILLE, FRANÇOIS,” in Dictionary of Canadian Biography, vol. 2, University of Toronto/Université Laval, 2003–, accessed April 21, 2019, http://www.biographi.ca/en/bio/poulin_de_francheville_francois_2E.html.